The opening credits of 1990 series Twin Peaks were iconic. Angelo Badalamenti's dreamy opening song played over bucolic scenes of a misty Pacific Northwest town, establishing a comfortable intimacy between viewers and this strange community. 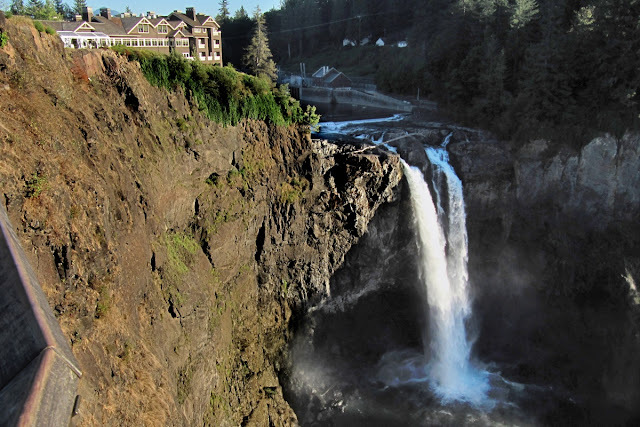 One of the scenes was of an impressively tall waterfall which I later discovered to be Snoqualmie Falls, not far from North Bend. At 270 feet tall, it is nearly 100 feet tall than Niagara Falls.